It’s me again, blogging from a random hotel room. Last time we had a look into the combination of OMS and Azure in order to ensure availability of a Windows Server container hosted on a virtual machine in Azure. (The templates and scripts will be published soon). 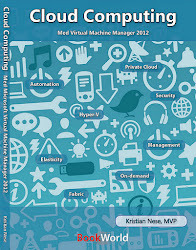 This time, I would like to focus on another scenario I think is very useful in the combination of Azure and OMS. 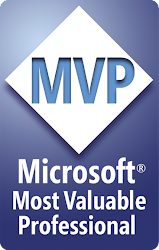 In this blog post, I would like to cover a common scenario that we will run into every now and then when customers wants to protect virtual machines automatically to Azure in a programmatic way. More and more customers are looking into how they can leverage the Azure cloud today, and one of the low-hanging fruits are services that can easily be plugged into existing services on-premises that will easily enable hybrid cloud scenarios, such as Business Continuity and Disaster Recovery. These services can be harnessed directly from Azure but provides you with a more comprehensive solution when used in conjunction with the entire OMS suite – that includes these services as well. In a couple of minutes, you can have your services and applications running healthy as ever in an Azure region once this has been configured, in case of a failover. In this article I will not go into design principals around the recovery processes (we’ll save that one for later), but rather cover a scenario that automatically will take care of some heavy lifting for you. Many organizations have Hyper-V running as their primary hypervisor on-premises today, powering test, dev and production virtual machines. Since Azure has been able to democratize disaster recovery with their recovery services, people are looking into how to take advantage of this in a streamlined and efficient way. My goal here is to show how you can onboard and enable protection for newly created virtual machines on a Hyper-V host that has been registered to your Recovery Services Vault in Azure, by combining events that are logged into Log Analytics in OMS, monitored by a saved search that also has an associated alert with remediation attached to it. 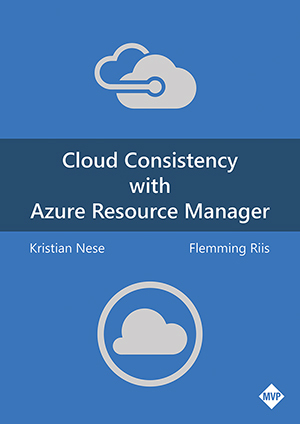 This will invoke a Runbook created in Azure Automation that will enable replication on newly created virtual machines on that particular Hyper-V host and replicate to Azure as the recovery site. · A runbook is created in Azure Automation that will search for newly discovered virtual machines on the registered Hyper-V host in the Azure Recovery Vault, look for VMs that isn’t protected and enable protection for them. Assuming you have all of the above except the runbooks, I’ll cover the creation of the Azure Recovery Vault and the Runbook and stitch everything together. Note: You must install and register the agent on your Hyper-V host manually in this process, before proceeding with the rest of the script. Register-AzureRmProviderFeature -FeatureName "betaAccess" -ProviderNamespace "Microsoft.RecoveryServices"
For the assets, you can easily add the required assets by using PowerShell. In my case, I need the credentials to login to an Azure subscription, and I also need to store the subscription ID in a variable. Normally you would use a cmdlet for uploading PowerShell modules to Azure Automation as well, but since we just want to grab a few of them directly from the available PowerShell Gallery in the AA itself, we quickly head over to the portal and grab them from there. Install the following modules in this specific order. Write-Output "They were protected already :-)"
If you want to use this in your environment, ensure you are changing the variables to meet your needs. Assuming you already have the host registered to the Workspace, you should do the following steps to be able to get the information you are looking for to enable this scenario where you want to leverage the runbook to protect newly created VMs. Note: OMS doesn’t care about what has already happened, so only new events in this log will appear in OMS. I have saved the search and categorized it as ‘Hyper’V. Assign a name to the alert and specify when the query should run and when an alert should be generated. I then specify the recipient of the alert and give it a name. As a last step, I connect the alert with the newly created Runbook in Azure Automation and ensure that it will be executed by using an Azure worker and click save. Heading over to my Hyper-V host I created some new virtual machines. Once the search query detect a new event, the alert is triggered and an e-mail is fired away to my inbox. This should invoke the associated runbook for remediation, and when I check into the Job view in Azure, I can see that it has successfully been executed and also the output that tells me that replication has now been enabled on the unprotected VMs. This was yet another blog post that shows some of the capabilities of combining OMS, Azure and Azure Services together. Moving forward, I will focus more on some of these scenarios to show where we have some gaps today, and how you can overcome those gaps with a little effort in engineering. By the end of the day, we can more or less achieve whatever we want as long as there’s an API for it, and that’s exactly what this blog post was showing.